Clean, wash and finely chopped methi leaves. 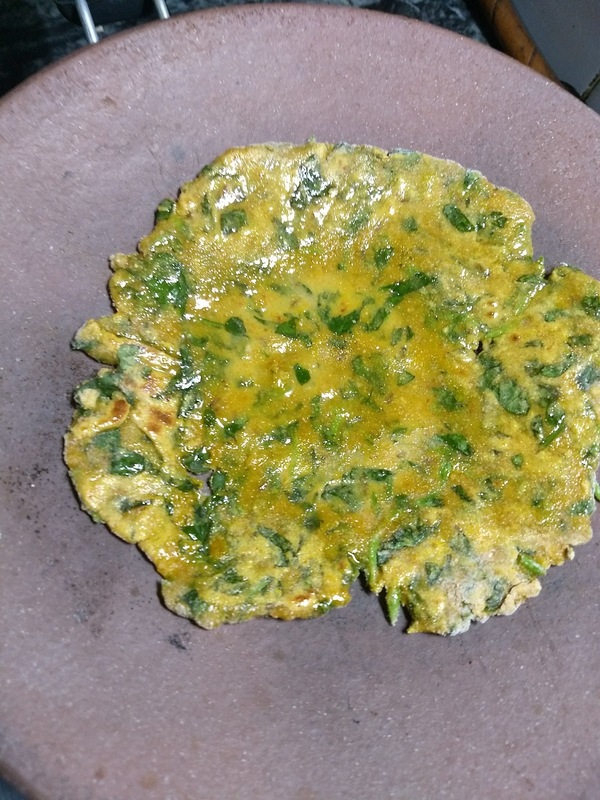 In a big bowl, add methi leaves, wheat flour and besan. 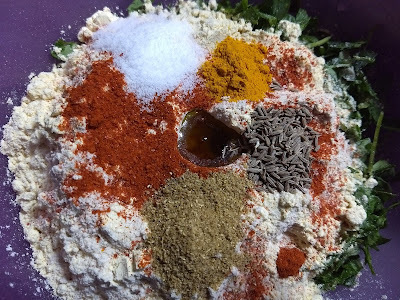 Now add all masala mention above with oil, ginger and curd and mix all ingredients well together. 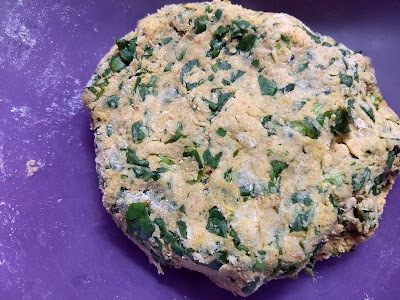 Knead dough but do not add too much water at a time as methi already consist moist. 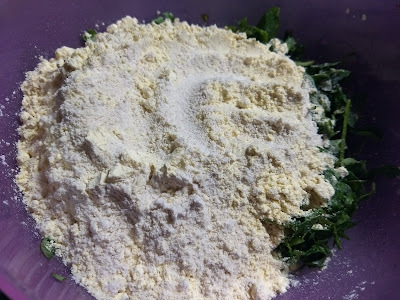 Rest dough for 10 minutes and make the medium sized ball from the dough. 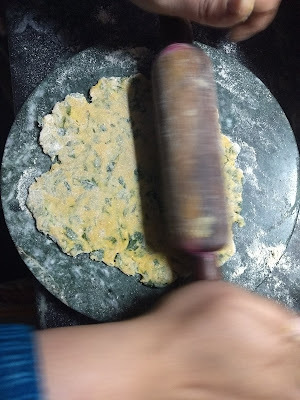 Roll the thepla to a round of about 5-6 inches in diameter. On a hot tawa place the thepla. flip when one side is partly cooked, spread oil on this side and repeat the same process on another side. 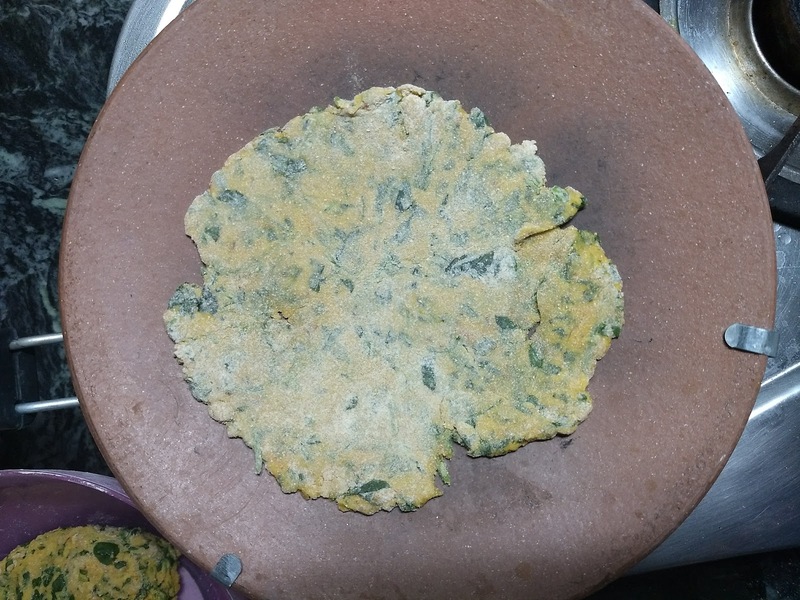 Press the thepla with the spatula from both sides until it becomes golden brown. Now serve hot thepla with choice of your pickle or chutney. 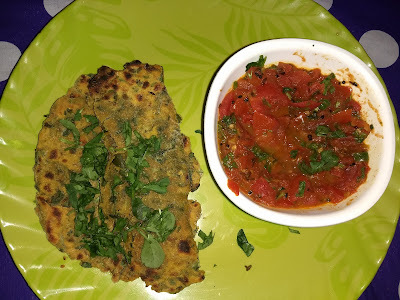 I make "tamatar ki launji" and it goes very well with theplas. If you plan to serve this thepla after a few hours or next day then add more oil on thepla so that they become soft.